Ice Skating ~ How Romantic! Weather you are visiting from a sunny state or from a fellow frozen friend - ice skating always a fun winter activity. 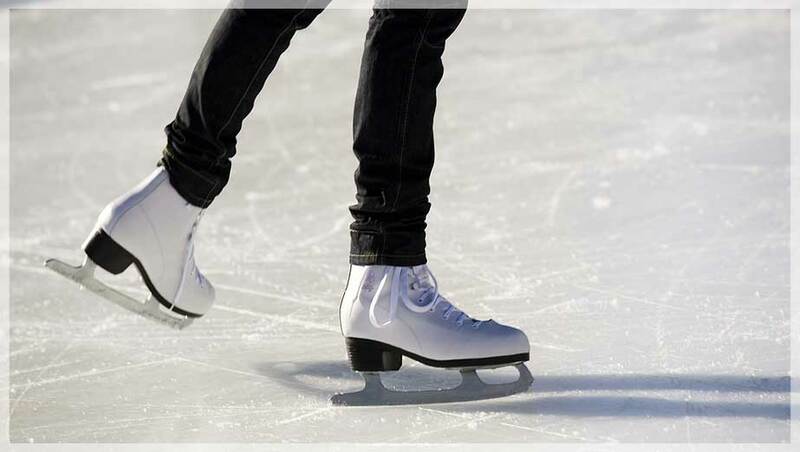 So lace up your ice skates B&Bers - here is a list of the best rinks in the city! Parson's Chicken and Fish - Aside from the delicious food and drink menu, this Logan Square restaurant is usually known for their sprawling summer-time patio. However, in the winter they transform the umbrelled area into an ice rink! Bring the family for fun and games. Maggie Daley - This ribbon-style skating rink is a $12 ticket to fun! As its winds around a climbing wall (not open in winter) you will get views of the city, Millennium Park, and the lake. Lincoln Park Zoo - A fun spot to skate around, this Chicago favorite is open all winter with skate rentals available! The best way to warm up after a skate is to drink some hot cocoa (or tea, or coffee!) Here at Ray's Bucktown B&B we have warm drinks available to guests at all times. Are you a night owl who craves more excitement than a corner bar? Or maybe what you're looking for is a quiet poetry night. Maybe you want to access your inner child and hit the arcade! The staff here at Ray's has compiled a list of our favorite out-of-the-box spots for a good time. Subterranean - Show casing the best in Chicago talent, this wicker Park music venue is a spot to check out. Filter Cafe - If you love poetry and are looking for an open mic night, be sure to check out this quaint coffee shop in Wicker Park. Emporium - This grown up arcade has everything from Mrs. Packman to pool. The impressive beer secretion will guarantee that your night is worth it. Slippery Slope - Located across the street from Emporium, this after-hours dance bar is the hottest spot to shake your tail feather! Danny's Tavern - This local spot ranges from dive bar to dance bar. iO Comedy - Improv Olympic is the silly little brother to Chicago's famous Second City comedy theater. Don't worry if you are more of a home-body! Ray's Bucktown B&B has a plethora of board games, books, and snacks available at all times to guests. Not to mention free Wifi and TVs in every room!